Description: A free and customizable address list template is presented here. To create your own address list, download the template and replace the text with yours. 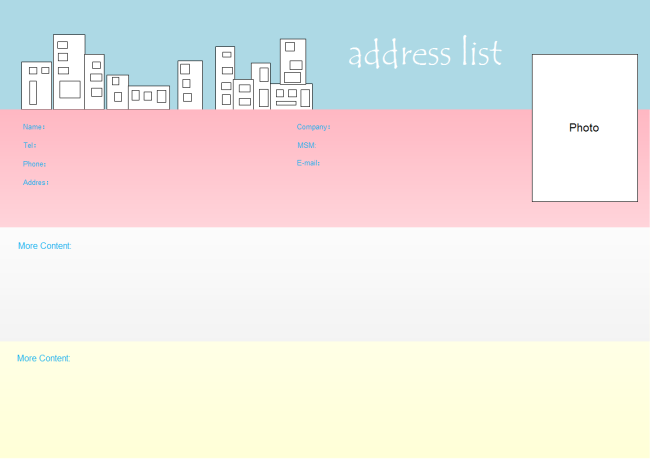 You can also start a new address list design using the pre-made shapes and symbols in Edraw.